Monday morning rolls around, and you make your way into the office. You unlock the door and step inside the building, pausing for a moment before turning on the lights. The workplace looks calm and clean. That is until you turn on the lights. Suddenly, dozens of spots and stains leap up at you, marring your carpet and ruining your morning. But just what stains are you looking at? 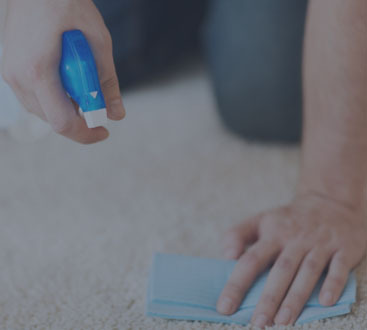 In this blog, the carpet cleaning experts at Augie’s Janitorial Services in Detroit will cover some of the most common carpet stains. Let’s face it, your utility bill might tell you that your business runs on electricity, but in actuality, your business is coffee powered. It’s not uncommon for dozens of your employees to sweep into the building each morning with a cup of joe clutched in their hands. When that mid-afternoon slump hits, you’ll find your employees hitting the break room for their second, third, or maybe even fourth cup of the day. With so much coffee always in circulation in the office, it’s no surprise that some of it, or a lot of it, ends up in your carpets. Between the humble pen and the troublesome printer, there’s a lot of ink flowing in your office. It also means that there are plenty of opportunities for that ink to make its way into your carpets. From cracked ballpoints to exploding toner cartridges, ink can be a tough spot to remove. While small dots of ink in the carpet might not be noticed, they add up over time and can prove to be an eyesore with time. Ah, yes gum. That sticky, sweet, small stain just waiting to happen. While many people are capable of chewing the same piece of gum all day without issue, on occasion, some might lose track of their gum. The obvious place for that gum to go, besides the undersides of desks, is onto the floor. Gum is a disastrous addition to any carpet, as it clumps the fibers together and leaves a sticky brown smudge on the floor. Everyone loves the company holiday party, but no one loves what it does to the carpets in the office. As one round becomes three, and the spirits are flowing, it creates ever more opportunities for a spill to occur. Wine and beer can both leave deep-seated and stubborn stains. Unfortunately, food is one of the major culprits when it comes to office stains. We’ve all see someone unintentionally spike an entire Lean Cuisine, fresh out of the microwave, onto the floor. 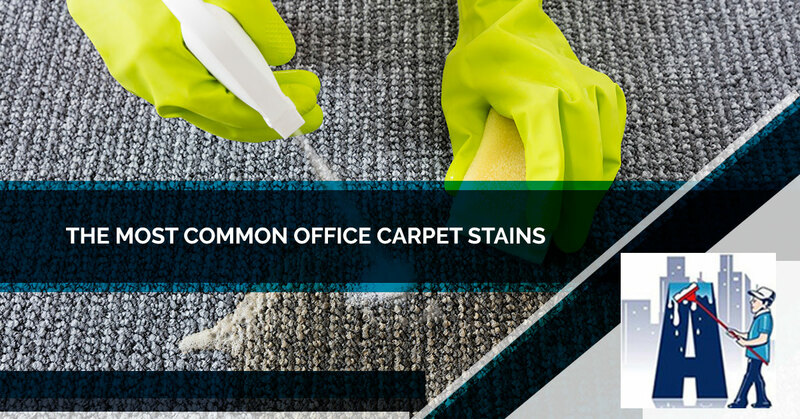 Breakfast burritos, donuts, mid-morning snacks, late lunches, second lunches, and even early dinners all leave noticeable, and sometimes smelly, stains in the carpets in your office. Don’t put up with carpet stains any longer than you have to. 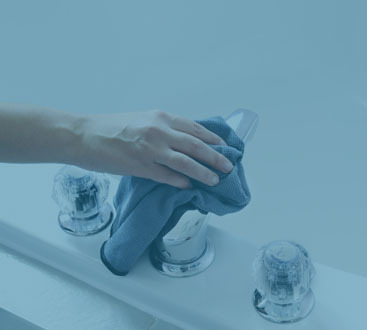 Call Augie’s Janitorial Services to have our expert cleaners take care of your business in Detroit. We’re ready to care for your carpets and the upholstery of your furniture too. Contact us today to schedule your commercial carpet cleaning!